Free parking: major problem or no big deal? 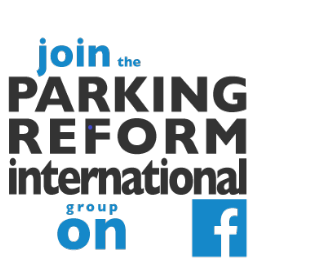 Do you want your city or town to shift away from promoting plentiful parking? Do you agree with Prof. Donald Shoup that inducing excessive free parking is a costly mistake? If so, you have probably heard someone trivialize the issue. Maybe they told you that free parking is no big deal. Maybe they said it is no worse than all the other cross subsidies in society, or that it is just one more thing some of us pay for but don't use. I was reminded of those claims by a post last week by Emily Bagder on WaPo's Wonkblog that provoked many comments along those lines. Badger's post highlighted Donald Shoup's latest parking article "Cutting the Cost of Parking Requirements". "People who are too poor to own a car," Shoup writes in the University of California's ACCESS Magazine, "pay more for their groceries to ensure that richer people can park free when they drive to the store." The cost of constructing above-ground parking in a major American city runs about $24,000 per space, in Shoup's research (this doesn't include the cost of buying the land underneath). An underground spot costs $34,000. Let's emphasize again that these costs EXCLUDE LAND COSTS. Wow! Median parking requirements for office space in a set of US cities. This is part of a larger infographic by Seth Goodman published on the Graphing Parking site. I don't recommend delving deeply into those comments, which include many knee-jerk assumptions about Badger's and/or Shoup's supposed anti-car and/or left-wing intentions and/or stupidity. "Foolish article. I pay school taxes despite the fact that I never had children in the local schools. Everyone in a large and complex society pays taxes for some things they do not use, want, or need. That's just how it goes." So what is wrong with this comment? First, the mention of taxes is misleading. Free off-street parking is mostly about "bundling" not about tax money. In areas with plentiful parking, private owners of parking cover its costs from the rest of their enterprise (housing revenue, retail revenue, office space revenue, or whatever). Second, the free parking a result of local government REGULATIONS! Plentiful free-of-charge off-street parking is usually NOT a natural outcome of the free market at work. Rather, it is minimum parking requirements that promote so much parking supply, especially in the USA, that the price is driven to zero. Third, the comment seems to suggest that nothing much can be done. Not true. Prof Shoup's suggested policy reforms are a good place to start. Reinventing Parking also has various suggestions. Feel free to explore. Fourth, shifting parking costs from direct users to everyone is not trivial. That was Shoup's key point in highlighting the enormous cost of providing each parking space in a city. Each parking space costs more than most of the cars that will ever park on it. And he didn't even consider land costs. And our own Seth Goodman estimated that, in USA cities, one parking space adds about $225 to monthly apartment rent. Finally, just because the costs of many goods and services are not covered by user fees does NOT mean that is a good way to organize parking. User fees, especially market-responsive fees (a.k.a. market prices), send important signals to the actors in the system. In a market economy, unless there are good reasons to do otherwise we generally prefer things to be funded via prices rather than the other options, such as non-responsive fees, taxes, advertising, and imposts on specific groups of non-user beneficiaries (via targeted levies). Yes, there are many things that are not funded by user fees/prices. For good reasons. But most of them are not relevant to parking. For the really keen readers among you, here is more detail on those good reasons not to rely on pricing and why they generally DO NOT apply to parking. Sometimes the transaction costs of imposing user fees are too high. In the past, this was often relevant for parking, but modern parking pricing technology makes parking fees easy. Sometimes bundling a cost with other goods is a business decision (fries and a drink come at a discount with a burger). This is relevant to parking. Retailers often offer free parking, even if their parking is tight, via parking validation (free parking for motorists who spend enough). But for other kinds of building, bundling of parking costs is only common when parking is plentiful, not when it is scarce. 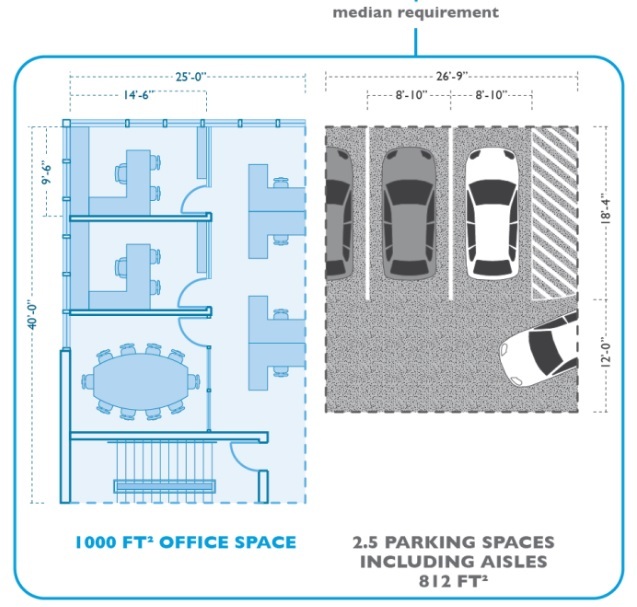 Most bundling is because of parking minimums. Sometimes a direct user fee is just not feasible (think free-to-air broadcasts or fire fighting). But, as I said, it IS easy to charge for parking. So parking is NOT a non-excludable public good. In some cases, society benefits if people get a good even if they would not or could not pay ("merit goods" or goods with positive externalities; think basic education). This argument is used for parking but is based on the huge mistake of thinking that plentiful parking is the best way to prevent on-street parking chaos. In fact, on-street parking management is the best way to deal with on-street parking problems, regardless of off-street parking supply. Sometimes, as for mass transit, the economically efficient user fee (the 'marginal cost price') is inherently lower than the cost recovery fee. There may actually be an element of this in parking, but not enough to justify excessive parking minimums or free parking. Sometimes (often? ), government-funded freebies are aimed at helping businesses. Unfortunately, this is indeed common in parking, with many downtowns providing free or cheap parking at taxpayer expense to help downtown businesses. If such help is needed, I wish they would find transport-mode neutral ways to do it that don't also subsidize car dependence. And, finally, yes sometimes we deviate from user pays for social justice reasons. It is a good thing that most countries enable even the poorest people to get basic health care, education, and other basics. But parking is hardly a basic need! Shifting parking costs away from its users is a horribly poorly targeted way to help low-income people. Shifting parking costs onto everyone need not be "just how it goes". In the case of parking, it is better to charge the actual users. Some of the reasons for this can be seen as left wing. Some are usually seen as right-wing. Many are based on centrist public-policy wonkishness. It doesn't matter. I don't see this as a left-right thing. Do you?